Round steel tubing exhibits excellent strength and durability, is easy to cut, bend, and form, and is versatile and affordable enough for a broad spectrum of applications. Multiple styles and alloys are available, including seamless 4130 steel tubing, chrome plated round hot rolled tubing, and more. From construction and architecture to aerospace manufacturing to motorsports vehicles, round steel tubing can be found in almost every market. View our inventory below to find the round steel tubing you need, or use the filters at left to narrow your search. We also offer square steel tubing, rectangular steel tubing, telescoping square steel tubing, and steel hammered tube. DOM round steel tube is mandrel drawn, which produces a tube that has increased dimensional accuracy and tolerances with a smooth inside and outside finish. This steel tubing product is ideal for applications of increased stress. This product is ideal for highly stressful applications that require a bevy of increased mechanical properties including uniformity, strength and soundness. 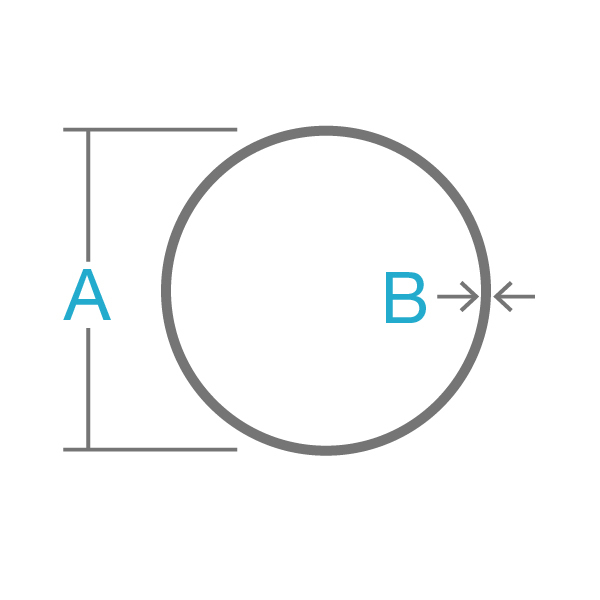 Hot rolled round steel tubes are measured by their outside diameter and their wall thickness. Their round structure allows them to have numerous types of architectural and structural applications. 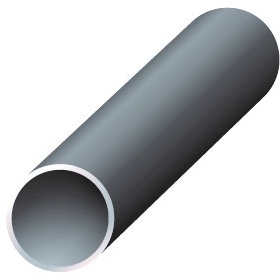 Hot rolled round steel tube is easy to cut, weld, form and machine. Industrial Metal Supply stocks a wide range of sizes of steel tube for your specific project needs. Contact us today. , round steel tubing can be found in almost every market. View our inventory below to find the round steel tubing you need, or use the filters at left to narrow your search.